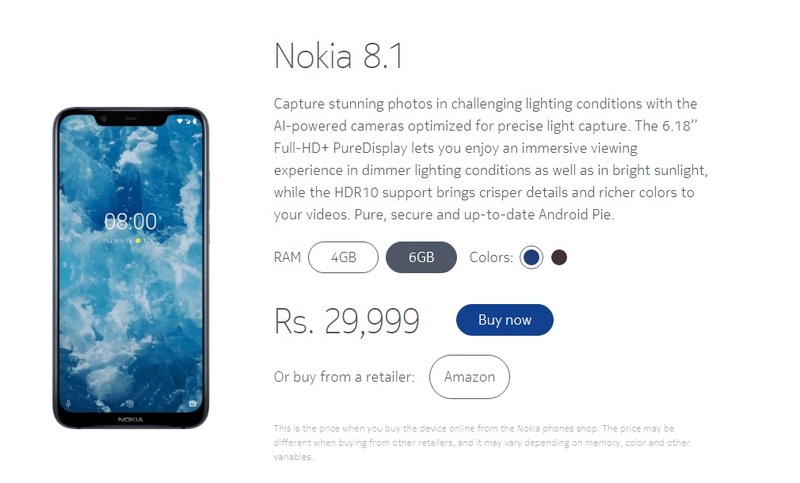 Nokia Mobile started taking pre-orders for the 6GB RAM / 128GB storage version of the Nokia 8.1 in India. The device can be pre-ordered via the official Nokia Mobile store in two colors: iron and blue-silver. The price is INR 29,999 or 366 euros. The delivery starts on 6th February. 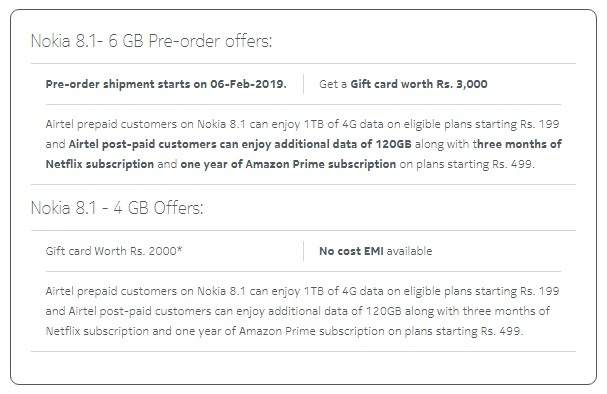 Nokia Mobile also offers additional services for buyers, like a gift card, Netflix or Amazon Prime subscription via Airtel, etc. Nokia 8.1 is the successor of Nokia 7 plus (and Nokia 8), featuring a 6.18’’ Full HD+ PureDisplay, Snapdragon 710, 4GB/64GB or 6GB/128GB memory configuration, 3500mAh battery and a dual 13MP+12MP camera. You can pre-order the 6/128GB version here. I believe that Nokia 8.1 is working nicely with 4GB of RAM, even though we still need to test it (hurry up HMD with the review model! ), but 6GB of RAM won’t hurt :). HMD used LPPDDR4x that will work well with fast and efficient Qualcomm Snapdragon 710. Are there any people that will go for Nokia 8.1 with 6GB of RAM?